The ECAB (Epstein Calvelli Beronja) Investment Group has over 120 years of combined financial services experience and approximately 110 years has been at Baird. We believe in using the power of time and consistency in seeking to create wealth and the power of process and diversification in seeking to preserve it. David has been a full service Financial Advisor at Robert W. Baird & Co. since 1984. His many professional accolades include the Explosive Growth Award in 1992, repeated membership in the Chairman's Club, Baird's Top Ten of Ten, and Baird's Number One Producer for 2001 through 2006. In addition, David has served as a member of Baird's Investment Policy Committee and Stock Selection Committee. 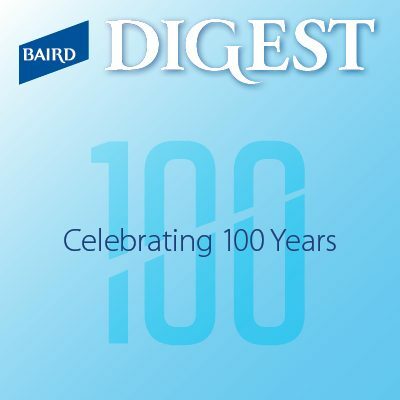 David has been named to Barron's annual list of America's Top 1200 Advisors in 2010, 2011, 2012, 2013, 2014, 2015, 2016, 2017 and 2018. The "Barron's Top 1200 Advisors" is a select group of individuals who are screened on a number of criteria. David was recognized by FORBES as a “Best In State Wealth Advisor” for 2018 and 2019. In 2013, 2014, 2015 and 2016 David was named to the Financial Times list of the Top 400 Financial Advisors. David received his bachelor's degree from the University of Wisconsin - Milwaukee and lives in Mequon with his wife Laura and son Sam. David also has two adult children, Andrew and Alison. 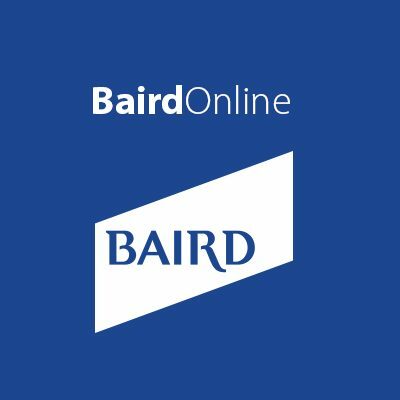 Chris has been in the financial services industry since 1997 and with Baird since 1999. He has earned repeated membership in the Chairman's Club at Baird. He successfully completed the Investment Consultants program sponsored by Baird at the University of Chicago Graduate School of Business, a multiple day session focusing on the needs of the individual investor. In 2018, Chris was named to the Financial Times list of the Top 400 Financial Advisors. Chris was recognized by FORBES as a “Best In State Wealth Advisor” for 2018 and 2019. In 2012, 2013, 2014, 2015, 2016, and 2018, Chris was named to Barron's annual list of America's Top 1200 Advisors. The "Barron's Top 1200 Advisors" is a select group of individuals who are screened on a number of criteria. In 2012-2015 Chris was named to “On Wall Street” magazine’s list of Top 10 Regional Advisors Under 40. Chris received his bachelor's degree from the University of Colorado - Boulder and lives in Whitefish Bay with his wife Kelly, daughter Siena, and son William. Andrew has been in the financial services industry since 2004 and joined Baird as a Financial Advisor in 2012. Prior to Baird, Andrew worked with a variety of institutional asset managers while in the sales and trading division at Bank of America Merrill Lynch in Chicago. Previously, Andrew also worked as an investment banker at Societe Generale and Cowen and Company in New York City. Andrew was recognized by FORBES as a “Best In State Wealth Advisor” for 2019. He was also named to “On Wall Street” magazine’s list of Top 25 Regional Advisors Under 40 in 2017, 2018 and 2019. In 2017 & 2018, Andrew was named to the “FORBES America’s Top Next-Gen Wealth Advisors” list. In 2013, Andrew received the Baird Financial Advisor “Rising Star Award”. Andrew received his bachelor's degree from Denison University and lives in Mequon with his wife, Meredith, and three children, Patrick, Charlie and Ellie. Kathy Beronja, CFP®, is a Vice President and Financial Advisor in Baird’s Private Wealth Management Group. She has been with Baird for over 25 years. She is a CERTIFIED FINANCIAL PLANNER™ professional and has successfully completed the Investment Counsel program sponsored by Baird at the University of Chicago Graduate School of Business. Kathy has been recognized as a FIVE-STAR Wealth Manager for 2011 through 2019. She was also selected by Baird to attend the Barron’s Top Women Advisors Summit in 2011, 2012, 2013, 2014, 2015, 2016 and 2017. In addition to the FINRA Series 7 and 63 securities licenses, Kathy is insurance licensed for the following lines of insurance: annuities, life, long-term care, and disability. She is currently insurance licensed in the following states: Wisconsin and New Jersey. Kathy lives in Franklin with her husband, Kurt and son, Jack. She enjoys spending time with her family, watching Jack’s sporting events, golfing, travel and the Packers. She volunteers at her church, son’s school and various other organizations. Certified Financial Planner Board of Standards Inc. owns the certification marks CFP®, CERTIFIED FINANCIAL PLANNER™ and federally registered in the U.S., which it awards to individuals who successfully complete CFP® Board's initial and ongoing certification requirement. Monica joined Baird in 2000 and became a Client Specialist in 2002 by obtaining the FINRA Series 7 and Series 66 licenses. Monica has obtained the following insurance licenses: Accident and Health, Life, and Variable Life/Variable Annuity. Prior to Baird, Monica worked at M&I Bank. She is committed to providing the highest level of service to our clients. Monica received her bachelor's degree from St. Norbert College and currently resides in Milwaukee. Jaime joined Baird in 1998 as a receptionist and joined Private Wealth Management in 2000 as a Client Assistant. She is committed to providing the highest level of service to our clients. Jaime lives in Brown Deer with her son Cameron. Outside of work she volunteers as a Junior Achievement teacher and enjoys spending time with her family. 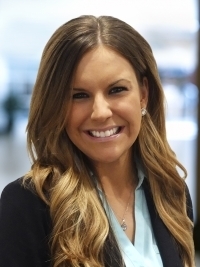 Brittany joined The ECAB Investment Group in March of 2014. She has obtained her FINRA Series 7 and Series 66 licenses. Brittany received her bachelor’s degree from Winona State University. Brittany currently resides in Wauwatosa with her husband, Mike, and their two sons, John and James. She enjoys spending time with her family, running and volunteering in her spare time. 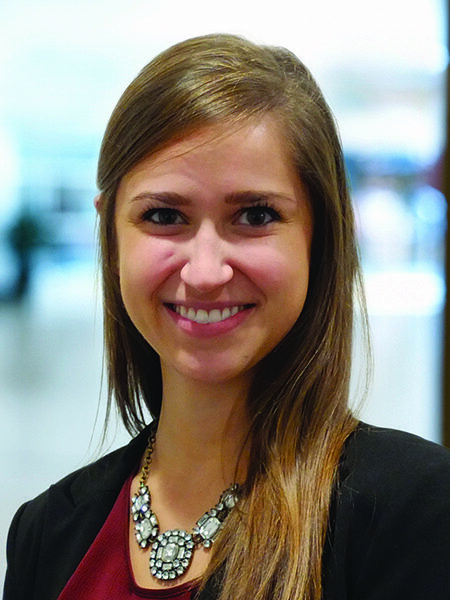 Kirsten joined Baird in 2014 as an intern in Private Wealth Management. Upon her college graduation in May of 2015, she became a full time employee. She has obtained her FINRA Series 7 and Series 66 licenses. Kirsten received her bachelor's degree from Marquette University and currently resides downtown Milwaukee. In her free time she likes to travel, cook and volunteer with various educational programs.